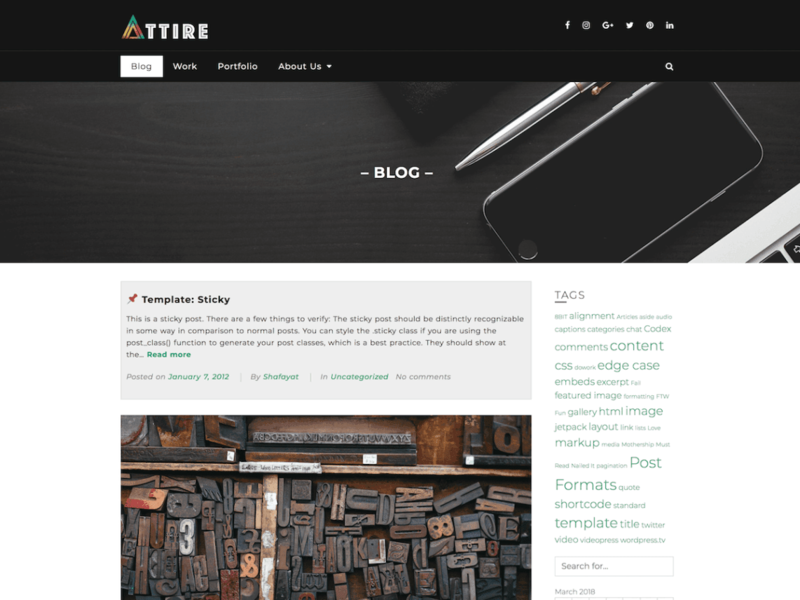 Attire is a fast, mobile responsive, highly customizable, SEO friendly multipurpose theme built with Bootstrap 4. Attire offers hundreds of customisation options which allows to make a website look exactly the way user intended. This theme allows to customise pages with google-fonts, page background, page header and sidebars.